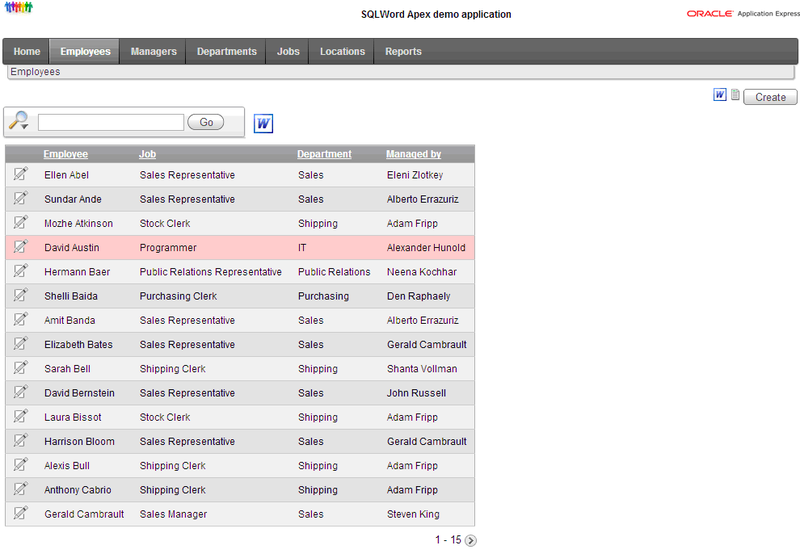 The SQLWord Apex demo application is based on Oracle HR-tables and demonstrates how to integrate SQLWord with Apex. 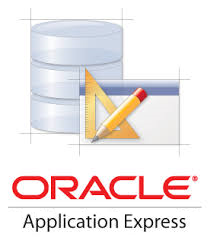 In this post the implemention of a Job offer letter in an Apex page is explained. 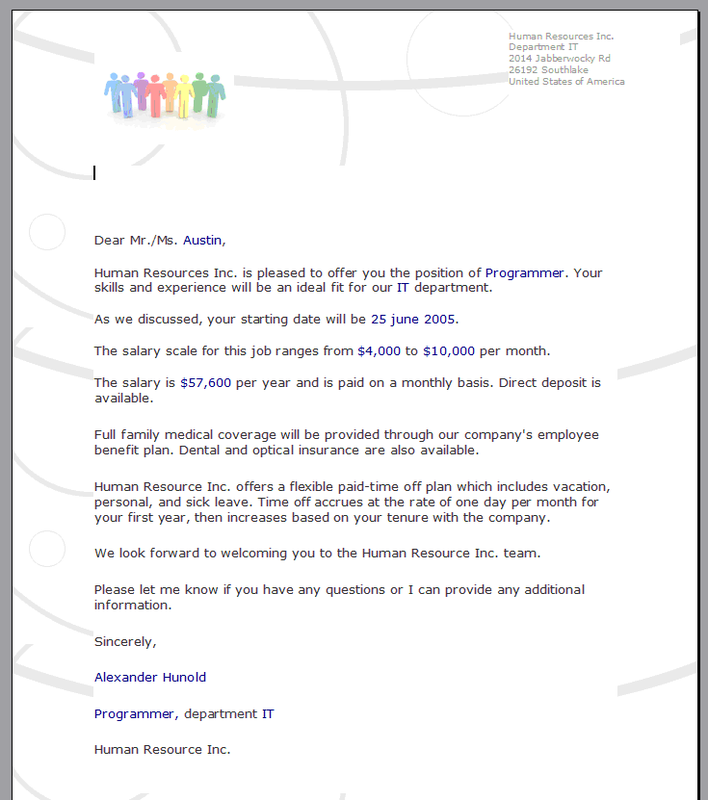 The MSWord template “HR_Employee_Job_Offer.docx” is the source document for this letter. 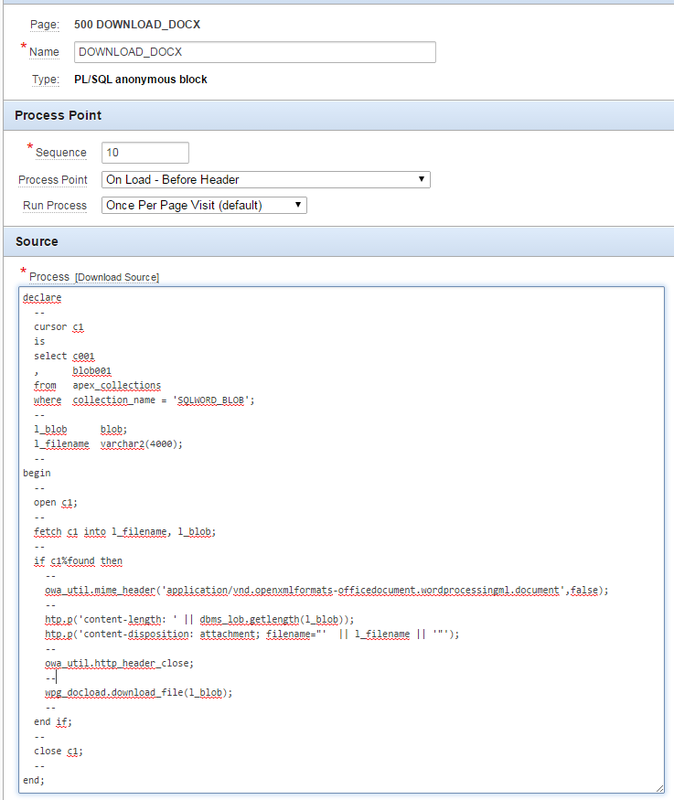 We assume that you have compiled this template to stored procedure HR_EMPLOYEE_JOB_OFFER. 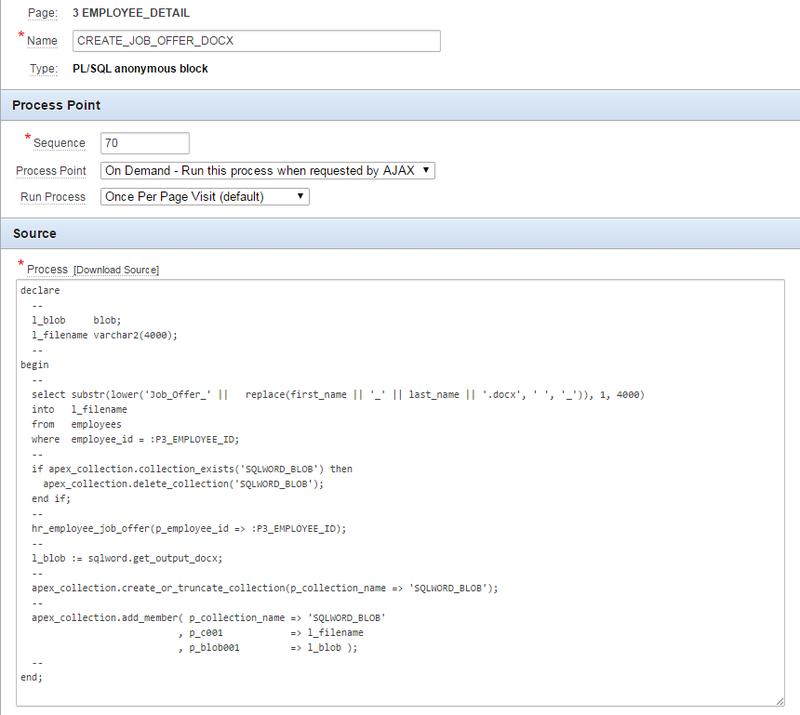 Stored procedure HR_EMPLOYEE_JOB_OFFER is called with parameter value :P3_EMPLOYEE_ID. 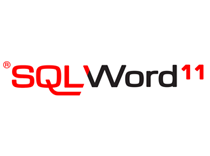 The output document is stored in a local variable L_BLOB by calling function SQLWORD.GET_OUPUT_DOCX. 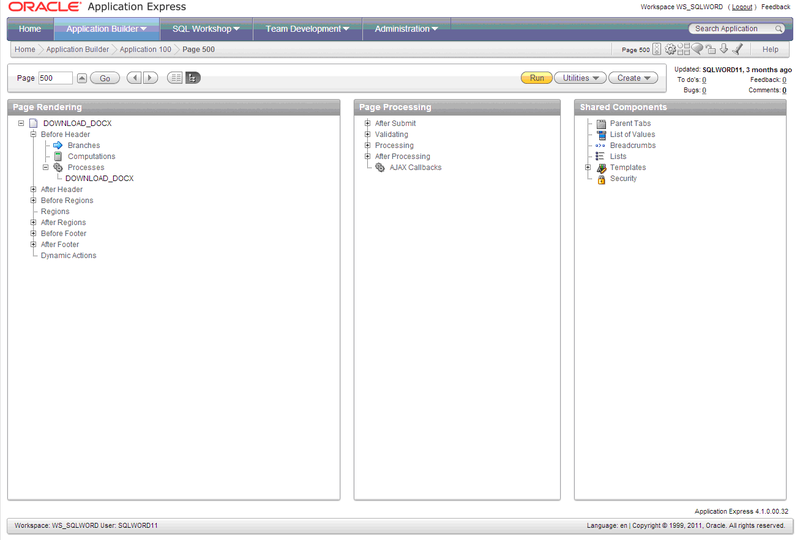 An Apex collection is used to store the data. This is a generic empty page for downloading prepared documents. 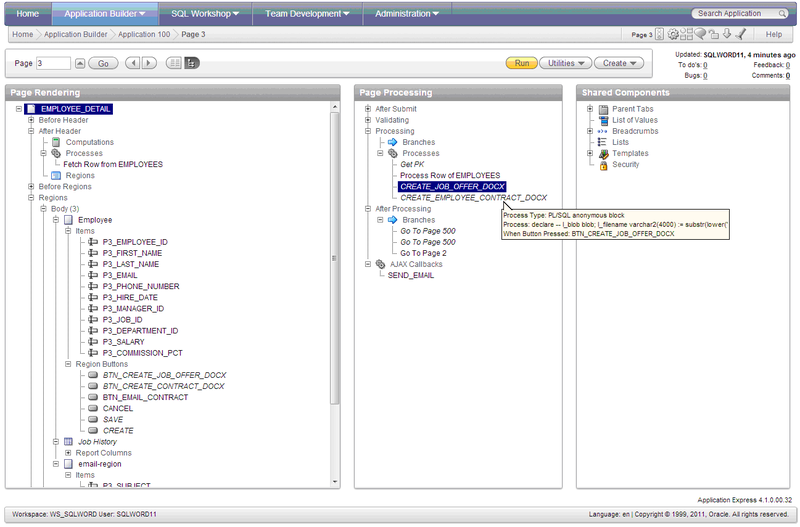 The output document and filename is retrieved from the Apex collection. The HTML header is prepared. By calling Apex procedure WPG_DOCLOAD.DOWNLOAD_FILE the download will start. Page 500 is closed an the browser returns back to page 3.